In addition to our modeling and drafting services, Precision CADD & Graphics can provide construction related printing and plotting. With a thorough understanding of demanding deadlines and various drawing and document file formats, we are uniquely qualified to handle your construction related printing and plotting needs. 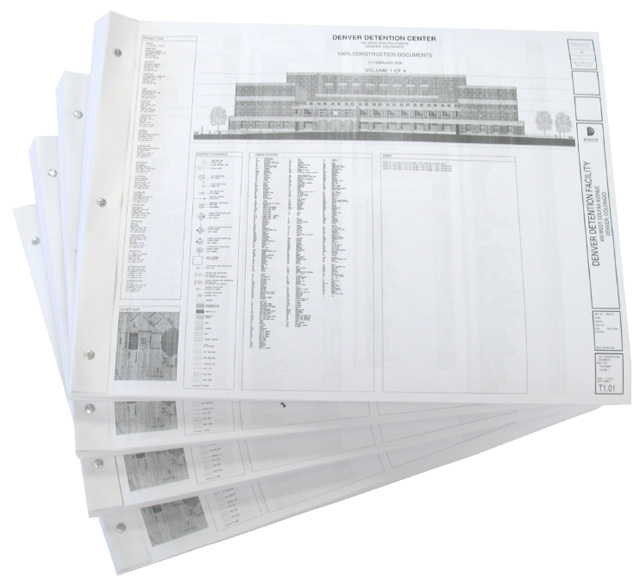 We can plot large format construction documents up to 36” wide in color or black and white, and can plot on Bond, Vellum or Mylar. 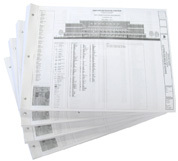 In addition to stapled bindings we can screw post bind the document sets as required. 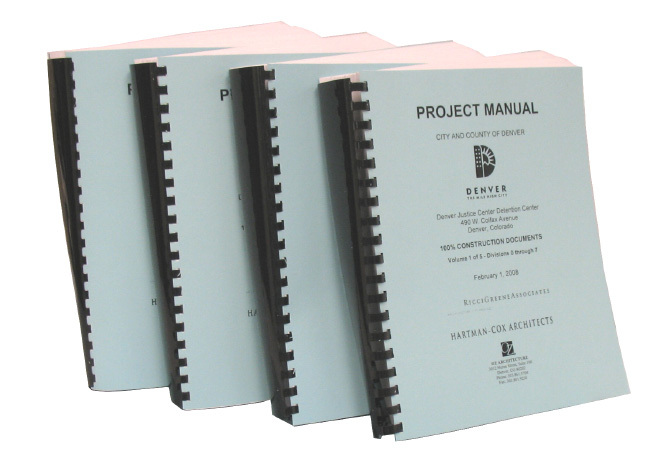 Specification book printing can also be provided with a full range of reprographic options; B/W and color printing, 11x17 insert, colored card stock, laminating, mounting, binding, etc. Precision CADD and Graphics can also scan to file large and standard format documents in TIF, PDF, JPG, Cal, BMP. We also offer courier services in conjunction with our printing and plotting services.